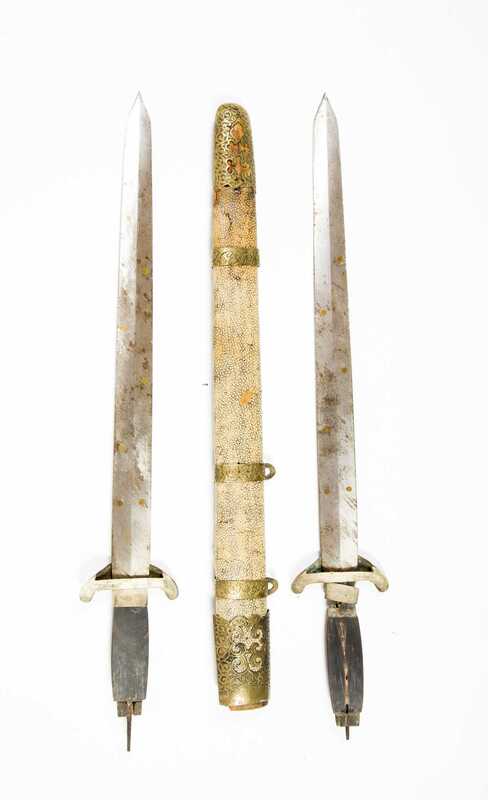 Rare Ornate Vietnamese Or Chinese Double Or Butterfly Sword - Two Swords In One Scabbard. 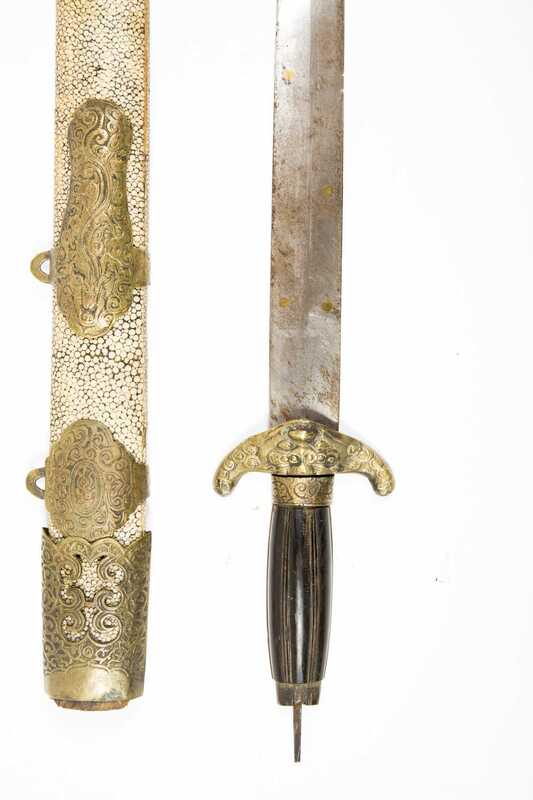 Brass guard with dragon motif on each side. Wood grip. 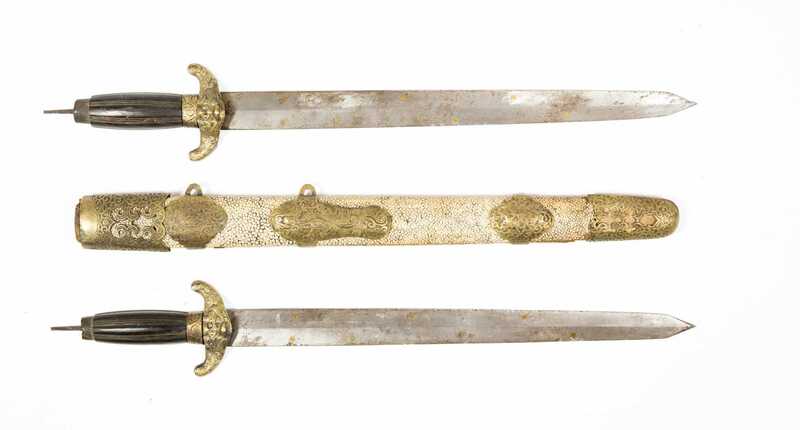 Pommel Missing. 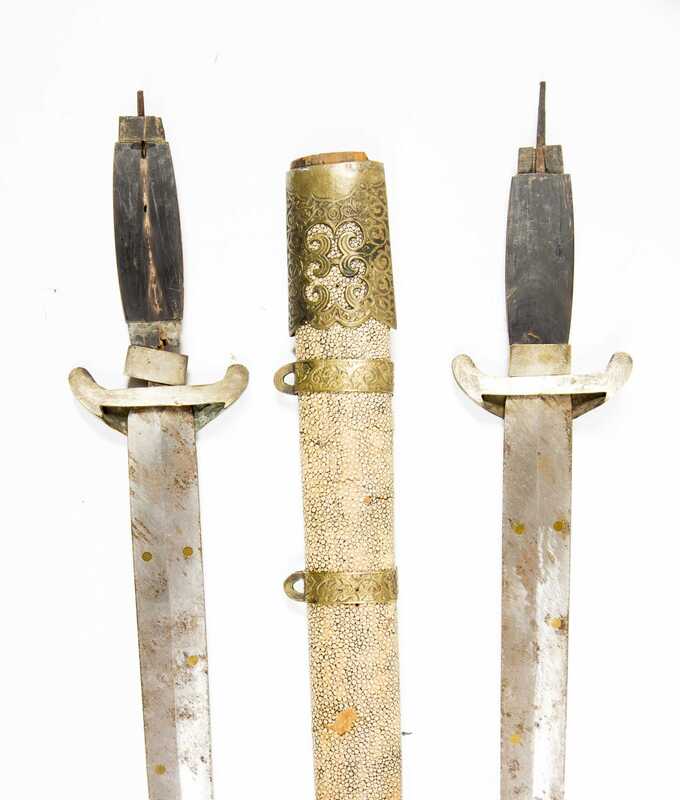 Ray skin covered wood scabbard with very decorative pierced brass fittings. 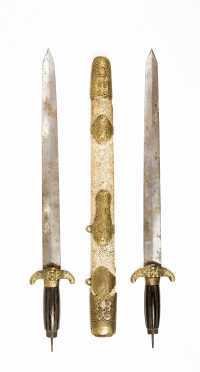 One sword to be used in each hand in battle. 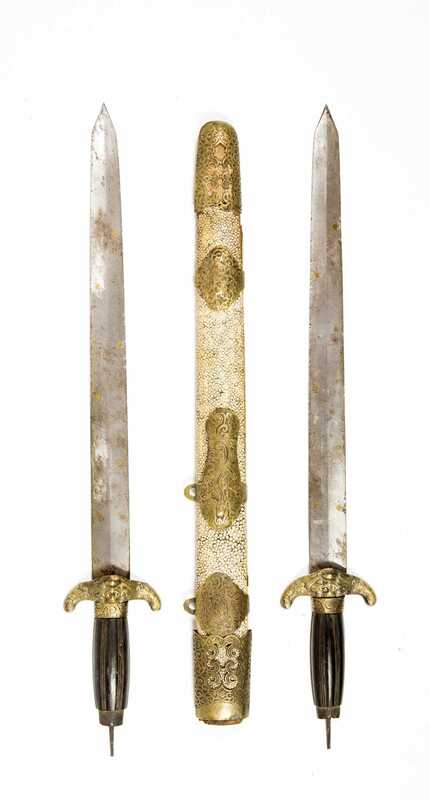 Ca: 19th Cent. Blade Ln: 15.5". Loa: 20".